It has been sometime since I wrote a review. 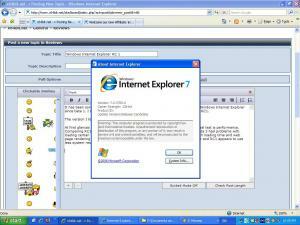 Since I have been an avid user of Windows Internet Explorer since beta 1. I thought it would be worth reviewing it, since it has finally reached RC1. The version I tested is a system running Windows Server 2003 + SP1. At first glances IE7 RC1 does not look very different from beta 3. Of cause the real test is performance. Comparing RC1 to beta 3 is almost like comparing chalk and cheese. First off, beta 3 had problems with loading certian web sites, this has been corrected with RC1. General speed in both loading time and web page rendering has been improved drastically. RSS feeds are now handled better and RC1 appears to use less system resources than beta 3. A feature that other browsers have had for years. 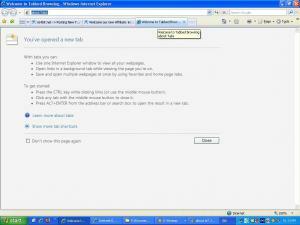 Finally IE has caught up and the tab feature in IE7 is excellent. The tabs can be configured for multiple options such as 'letting pop ups open as a new tab'. What I really like about the tabs is that the little x that closes the tab is individual for each tab. 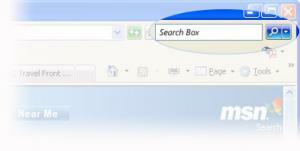 IE7 now sports its own built in search box. By default it is configured to search MSN but other search engines such as Google can be added. This is a really handy feature and I wonder how I survived without it for so long? RSS feeds are nothing new, except to IE. Windows Internet Explorer now has its own build in RSS feed reader. Now more wasting time having to search your favorite site for updates get it straight now with RSS feeds. With fake websites on the rise, trying to fool us into giving out our banking information. It is a blessing that IE7 now has a phishing detector built in. Security badges show whether the site you are currently browsing suspicious or a known for phishing. With all of these improvements I think Microsoft has a winner up its sleeves. It is a nice brower and good for use.
. So be careful about this.